eBlot® L1 wet protein transfer system is a highly efficient western blotting transfer system that uses a novel technology (patent pending) developed by GenScript. eBlot® L1 combines the high reproducibility and efficiency of the traditional wet transfer with the speed and convenience of other fast transfer systems. The device allows efficient blot transfer of small, medium and large molecular weight proteins within 9-17 minutes. The eBlot® L1 system is for wet electroblotting of proteins from mini gels onto PVDF or nitrocellulose membranes. Enjoy a top-quality and rapid protein transfer eBlot® L1 brings you! Embrace the brand new experience that eBlot® L1 brings you! 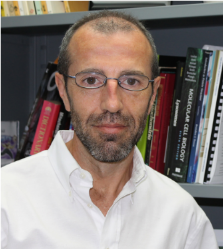 eBlot L1 helped Dr. Antoni Barriento's lab transfer their 1200kD protein in 20 minutes. "This is the first time we have used one of these fast-transfer instruments. I decided to test this one because uses a wet transfer system, rather than semidry, which yields less efficient transfers of large complexes even when using classical transfer systems." "Our major interest was to minimize the transfer of assembly mitochondrial oxidative phosphorylation complexes and supercomplexes which are large membrane-embedded macrostructures of sizes that range between ~200 kDa and several megadaltons." Blue Native (BN)-PAGE analysis of mitochondrial respiratory chain complexes and supercomplexes using an eBlot fast and efficient wet transfer from GenScript. 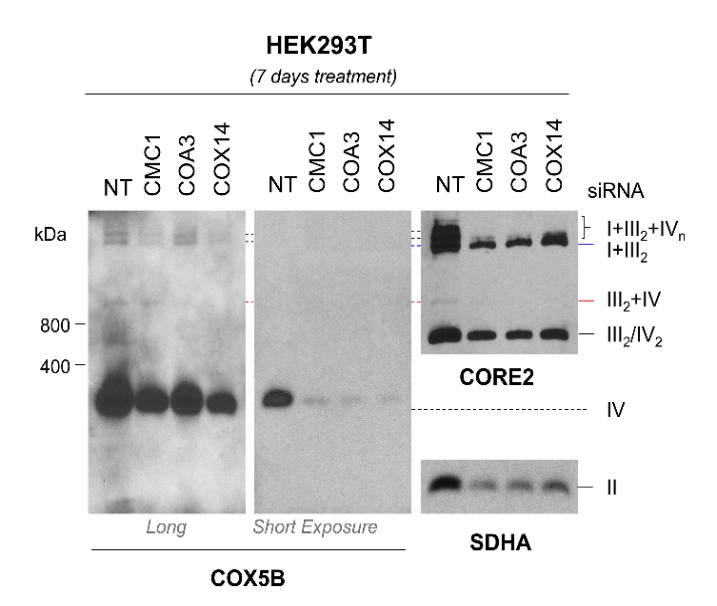 Cellular extracts from HEK293T cells treated with non-targeting (NT) or siRNAs targeting the indicated genes involved in complex IV assembly, prepared in the presence of digitonin, were loaded onto a 3-12% native gradient polyacrylamide gel and separated by BN-PAGE. 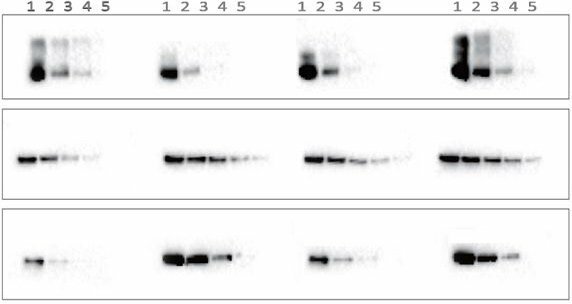 Following electrophoresis, the proteins were transferred to a pvdf membrane using in 24 minutes, using the Blot L1 protein transfer system from GenScript. To visualize mitochondrial respiratory chain complexes and supercomplexes, the membranes where subsequently decorated with antibodies against COX5B (a complex IV subunit), CORE2 (a complex III subunit) and SDHS (a complex II subunit).